Unlike line level audio sources you connect to a stereo (DVD/CD players, tape decks, TV audio, minidisc, etc. ), the output from a magnetic cartridge installed in a good quality turntable is much lower, and requires an additional stage of amplification to bring it up to the same volume as the other sources you listen to through your stereo. This additional amp stage, the phono preamp, is built in to most older receivers and amps, allowing direct connection of a turntable. However, newer stereo equipment, including virtually all mini systems and home theatre units, as well as many stereo receivers and amps, do not have a phono input. This is because records and turntables are supposedly obsolete in today's world dominated by CDs and DVDs. In order to utilise the inputs that such units have (aux, tape, line, video and CD, etc.) to connect a turntable, you need to first pass the signal through an external phono preamp to raise the level. The same level increase is required if you're connecting a turntable to a computer sound cards line input, so you can make CD-Rs from LPs. Again, the external phono preamp provides this ability. Note: This unit does not come with a power supply. 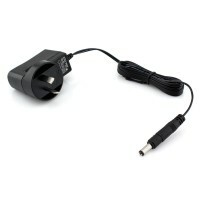 As noted above, this unit can be powered through a power adapter (recommended for fixed installations) or a 9V battery (more suitable for portable installations). 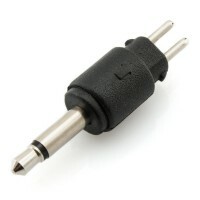 If you would like to use a power adapter for fixed installations, you will need to order both the 9V 0.5A power supply and 3.5mm TS connector tip. Both are listed below in our related products section.